How much is a customer worth to your business? And how much can you afford to pay to acquire a new customer? These are basic questions, but also very important questions to ask yourself. 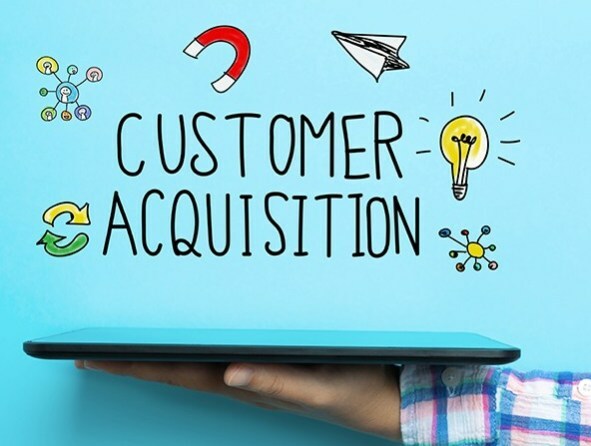 Lucky for you, there is a simple five-step process you can follow to figure out exactly how much you can afford to spend to profitably acquire a new customer. The process is known as Customer Acquisition Cost, or CAC. Knowing your CAC may also provide some crucial insights into other areas of your business. But before we dive into the process, there are a few things you need to know first. This is so very true, because if you can afford to spend more than your competitors to acquire a new customer… then you’ll win all the customers! So, you want to spend as much as you can to acquire a new customer… but not more than you have to. In other words, let’s pretend that you are able to spend up to $25 to acquire a customer. You certainly don’t want to spend more than $25 to acquire a new customer (because then you’ll be losing money). This five-step process will work for ANY type of business or selling system. It works for digital companies, phone-based selling companies, and even brick-and-mortar stores. Don’t get intimidated by the calculations and don’t worry about getting these numbers exactly right. First, start with a ballpark figure to help guide your marketing. Over time you can refine that number to get more and more accurate and specific to your business data. Keep in mind, this number extends beyond the revenue you generate from your initial sale. Your initial sale might only bring you $25, but many of the customers who buy that $25 product will go on to make additional purchases. If you have a Data Analyst or other analytic whiz on your team, just ask them to figure it out for you. How many customers purchased your products. How much total revenue did you generate. You’ll need to choose a date range for this data. We recommend going back 12 full months, if you can, to get lots of data. If you don’t have that much data then try to go back 90 days. The next step is to figure out how many people ask for their money back and subtract that from your CLTV. This is something you can figure out from your CRM. But if you don’t have access to that data, you can use 10% as a conservative benchmark. This figure can vary wildly. For an online company, all you’re paying for is the servers to house the data. But for an actual physical product, the cost of goods could be much higher. This is how much you can afford to pay to acquire a new customer!